Manufactured from a unique combination of materials, composite doors keep a classic timber look whilst excelling in strength, security and durability. Here at Select Products, we can offer you an extensive range of composite doors. 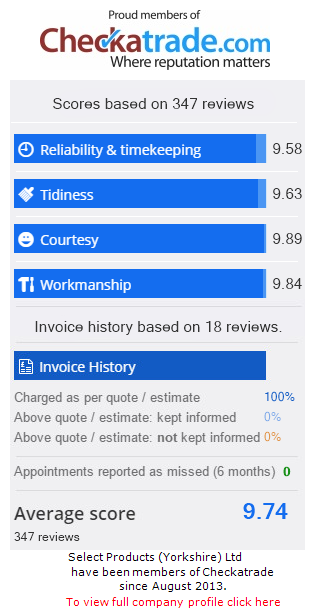 We have had years of experience fitting excellent composite doors in Leeds and have subsequently gained a superb local reputation for providing high quality products at competitive prices. When you choose from our composite door collection, you can expect high security, energy efficiency – as well as the latest styles and technology. We install the leading UK composite door brands, Rockdoor and Masterdor. 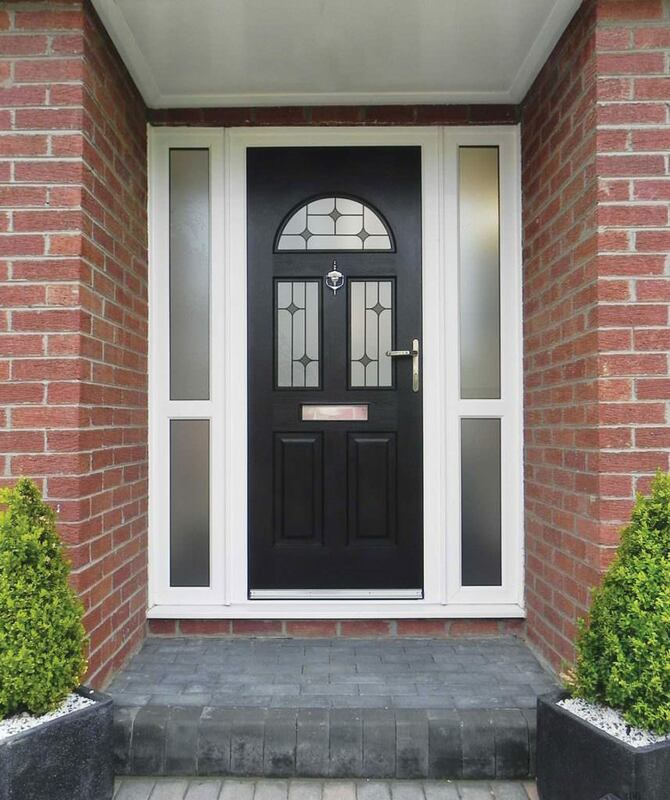 Our composite doors offer both durability and protection, manufactured from a combination of materials such as uPVC, wood, insulating foam and glass reinforced plastic. 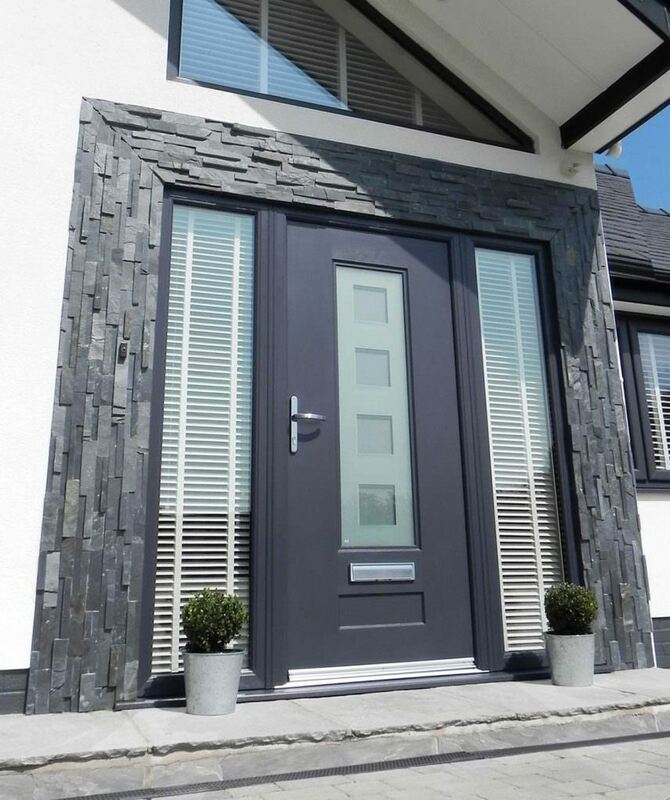 It is this unique combination which makes the composite door so strong and versatile, making them resistant to weathering and seasonal changes. All our composite doors conform to current building regulations and security standards, as well as being BSI Kitemark as standard. This includes being PAS23-1 and PAS24 accredited. Robust and long lasting, a composite door will provide maximum security to your property. Our composite doors are available in a wide variety of styles and finishes. 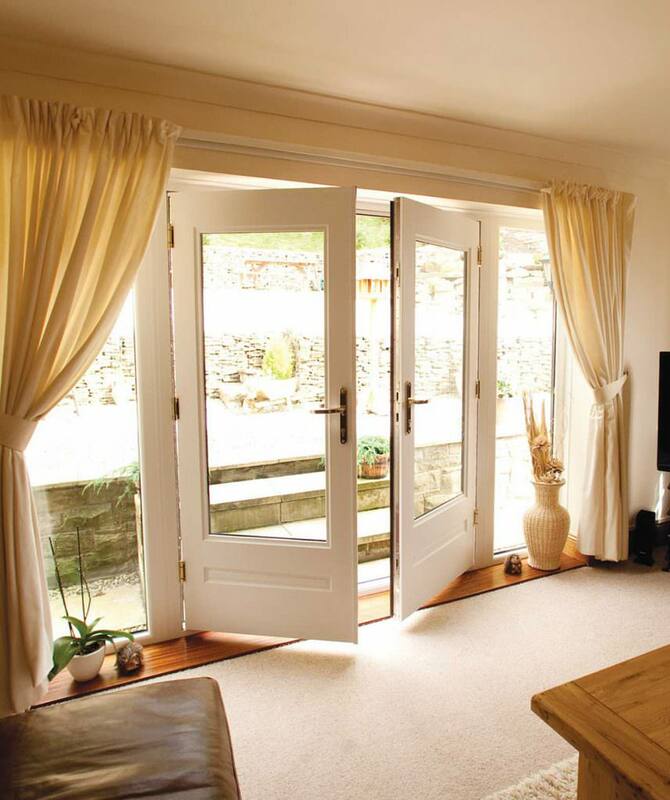 Choose from both traditional and modern designs; we have doors to suit all types of property. Colours include white, black, grey, red, green, blue, cream and woodgrain finishes. Get in contact with us today to find out more about our range of complementary styles. 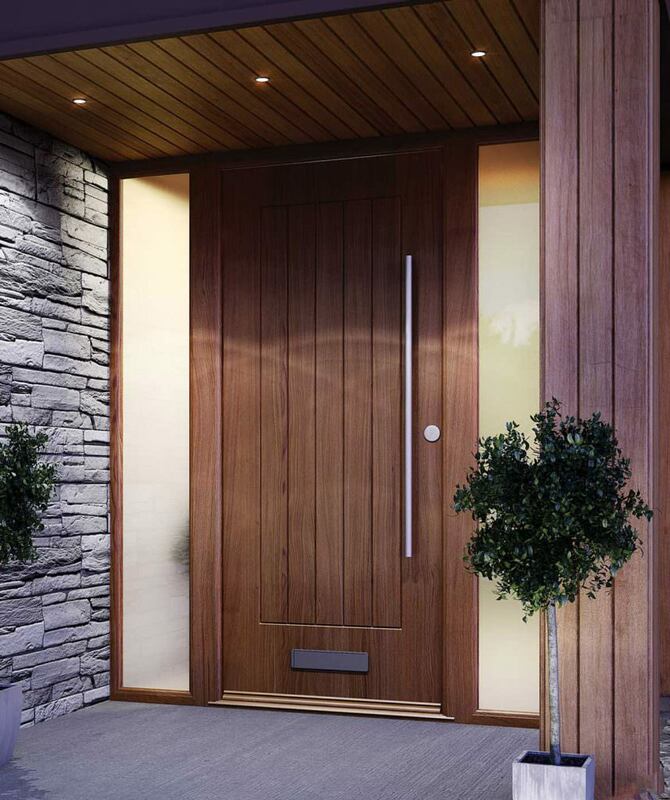 Select Products are proud suppliers of Rockdoors – the industry leading manufacturer of tailor made composite doors. Our varied collection of composite doors features front doors, back doors, stable doors and French doors, with unmatched strength and security. 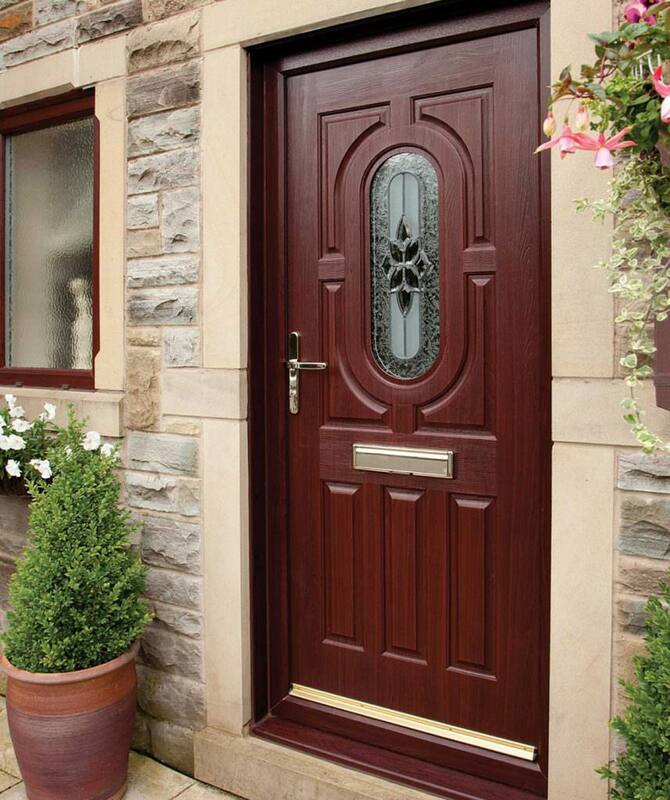 These composite doors are known for their incredible durability. In fact, half a million home owners in the UK currently use Rockdoors to protect their property. These innovative doors have built-in heat shield technology. A coating is placed on your door which works to lower the surface temperature. This protects your composite door from the sun, reflecting UV rays away from the surface. Your new composite door will never fall victim to cracking or warping. This heat shield technology is consistent throughout the whole coloured composite Rockdoor range. Our composite door collection from Rockdoor has a wide range of doors for every type of home owner. For more information on these doors, view the Rockdoor brochure below. Combining style with high security, doors from the Ultimate series come with engineered German locks and carbon fibre reinforced frames. Choose from a selection of 24 door styles and designs. These composite doors also come with a wide range of handles and letter plates. Matching your door to your home has never been simpler. At Select Products, we are proud installers of Consort composite doors which is one of the UK’s leading manufacturers of composite doors. When you choose our consort composite doors, you benefit from the latest technology and design. Manufactured to the highest of specifications, our Consort doors have been thoroughly tested to meet industry standards. We always provide our Yorkshire customers with the best. Our vast range includes a choice of both traditional and contemporary designs. Choose from a comprehensive range of colours and woodgrain effects. In addition to our solid colour range, you can also choose from a beautiful selection of bespoke colours which include our Heritage and Gemstones collection. Finding the perfect match for your home has never been easier. It’s not often that you come across a door which is maintenance free, but the Consort composite door promises just that. These doors have a reinforced plastic skin which works to protect the internal core of the door. It is this GRP (glass reinforced plastic) skin which provides you with a realistic woodgrain effect, achieving the appearance of natural wood. 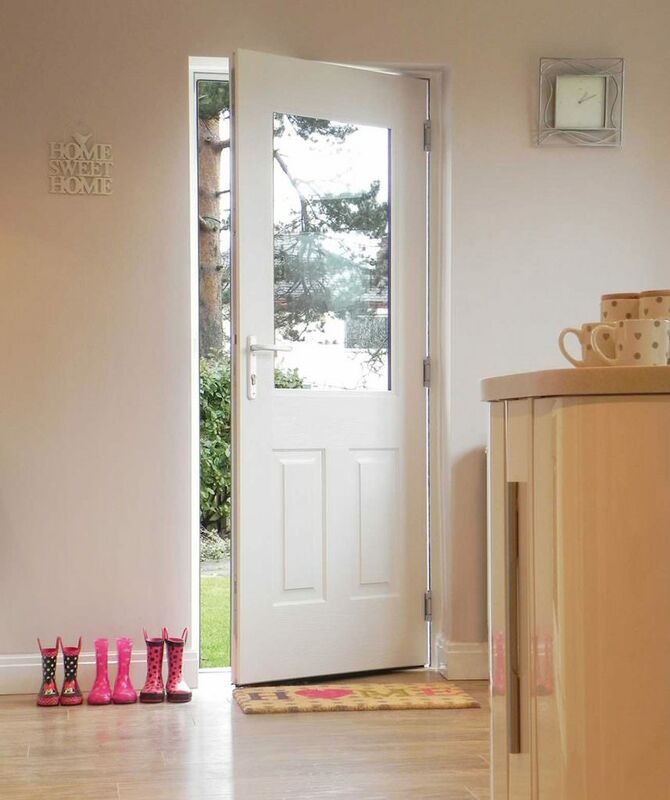 The Consort composite doors have built in adjustable hinges for ease of access. These composite doors have been designed to be practical to use. Despite their strong outer frames, these doors are surprisingly light and easy to manoeuvre. Stylish and secure, Consort composite doors offer the outstanding strength and security. Approved under the Secured By Design scheme, they feature multi-point locking systems which are known for their exceptional security. Strong and robust, these doors provide galvanised steel reinforcement. Their internal core is made with a timber sub-frame which features a thermally insulated polyurethane foam core. Their structural frame has been uniquely devised with specialised hardware, making the Consort composite door one of the most secure door options on the market. Thermally efficient, the Consort composite door has excellent insulating properties so when you choose these doors, you can do so with confidence. Fully reinforced with a 70mm uPVC triple sealed outer frame, you can expect nothing but exceptional energy efficiency. These highly efficient doors can be tailored to your specific needs as well as design choices. BFRC rated, Consort composite doors meet all current building regulations for energy efficiency. Our quality composite front doors come at affordable prices. We believe that every home owner should benefit from exceptional double glazing. To view our excellent prices, start your free online quote today. You can also contact us on: 0113 257 8933, where a member of our team will be happy to help with your enquiry.